Interleaved Power Factor Correction IPFC represents a cost and space efficient solution versus single stage PFC. PIC24FJ-33FJ MCUs and dsPIC® DSCs Microchip brings advanced control to cost-sensitive designs with PIC® MCUs and dsPIC DSCs. 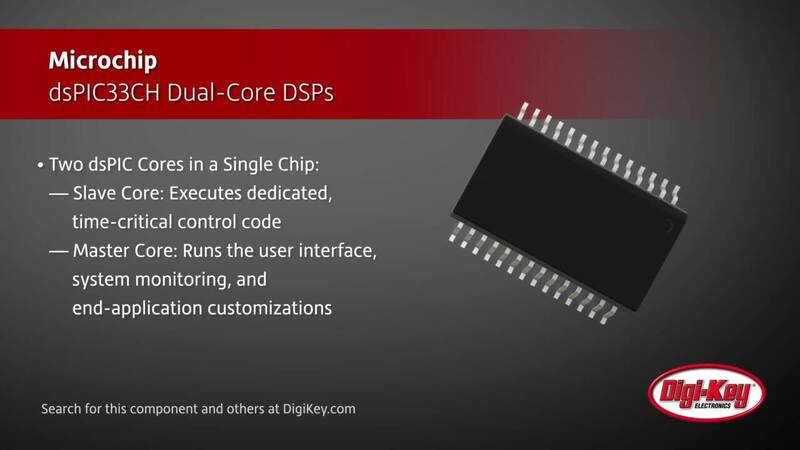 Dual-Core-DSP dsPIC33CH Das dsPIC33CH-Design von Microchip ermöglicht eine für jeden Kern unabhängige Code-Entwicklung und integriert sich nahtlos bei der Zusammenführung in einem einzigen Chip. Merging MCU and DSP Functionality for Block- and Stream-Based Processing Discuss levels of DSP functionality available in standard microcontrollers and the features used to turn analog-signal processing into digital-domain solutions.